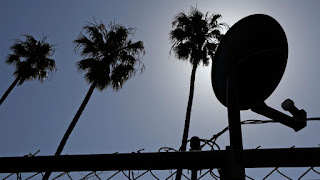 The practice of getting TV through satellite dishes in backyards and on rooftops first took hold in the US in the last 1970s and early 1980s, after TV networks started sending TV signals to cable providers via satellites. But in recent years, consumers have shifted to new digital TV offerings or live service. US pay-TV industry lost a record number of TV subscribers last quarter, and the satellite services from DirecTV and Dish Network were the hardest hit. In 2017, AT&T lost 554,000 satellite video subscribers. We’ve launched our last satellite,” John Donovan, CEO of AT&T Communications, said. We’ve launched our last satellite,” John Donovan, CEO of AT&T Communications, said in a meeting with analysts on Nov. 29.